Our International Major Medical Insurance is designed for individuals or families who live or work abroad, contract employees and people with dual residencies. 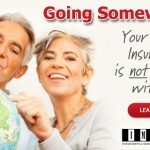 As long as you reside outside your home country for 6 months a year or longer, you qualify. 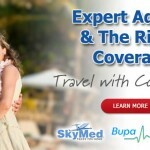 One of the best and unique services our international major medical insurance provides is the Medical Concierge Program. With this program, a customer care representative will help you locate a physician or health care facility anywhere in the world if you don’t know where to go. If you know where you want to go, call IMG to pre-qualify your visit, and they will work directly with the hospital for payment and treatment options. Customer care representatives are available to you no matter what time of day or night it is and there are never any vacations. If you need help at 3:00 a.m. anywhere in the world on a holiday, IMG will be able to help you get to a health care facility quickly. Our medical professionals will also work with your international doctor or surgeon to coordinate your care. We will take the worry out of translation issues as we communicate directly with your international doctor and stay with you from diagnosis to billing. You also have 24 hour access to your information so that you can see the status of your claim. Claim forms and medical receipts can be faxed or emailed directly from the hospital or your hotel. Having an ally while you are abroad is vital in a medical crisis.